Distinguishing Characteristics: Biracial (African-American/White) male. Brown hair, hazel eyes. Clothing/Jewelry Description: A gray sweatshirt, jeans and Jordan sneakers. 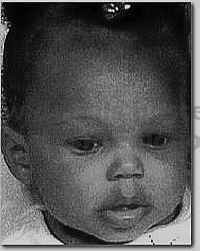 Kylan disappeared from Columbia, Missouri on April 22, 2011. He spent the night with a friend, and at 2:00 p.m. an unknown individual reportedly picked him up from the friend's house. He has never been heard from again. It's uncharacteristic of Kylan to leave without warning, and his family doesn't believe he ran away. A month his disappearance, a warrant was issued for his arrest after he failed to appear in court on a felony marijuana possession charge. The prosecutor doesn't believe Kylan was running from the law, however, and his loved ones stated he believed the charge would be reduced and he would be sentenced to probation.